IoT will touch and change every part of your organization. When planning an Internet of Things (IoT) deployment, you might be tempted to think first about the technology requirements: Is your network infrastructure up to the task? What disparate elements need to be able to interoperate? How will you handle proprietary legacy systems? These are all important things to consider. But unless you carefully think through all the ways digital transformation will impact people, processes, organizational structure, and corporate culture, your project will be doomed to failure. IoT is driving change in every industry—from mining to manufacturing, from agriculture to aviation. Never has it been more important to manage that change and its impact on your organization’s people and culture. Let’s face it: change is the new status quo, and only those who can adapt quickly will survive. The road to IoT is a journey. And that journey is a catalyst for digital transformation. Just look at the auto industry, which only a few years ago offered mostly blue-collar manufacturing jobs. Today, every new vehicle rolling off the assembly line is essentially a datacenter on wheels that generates up to 2 petabytes of data per year. Automakers are becoming technology companies and are increasingly chasing the same talent pool as large and small tech companies. The transportation and technology industries are converging fast, driving a dramatic shift in roles, culture and processes. The same phenomenon is happening across most other industries globally. With the adoption of IoT, all industries are becoming technology industries, and every company is becoming a technology company. Think robots and automation in manufacturing. Think autonomous hauling vehicles in mining. Think data science and analytics in transportation, oil and gas, construction, energy, retail—and the list goes on. In the fast-paced technology world, we have adapted to the model of reinventing ourselves every three-to-seven years. We know that we may be able to miss one major technology or business transition and survive, but if we miss two, we will likely perish. Now, people and organizations in other industries must face this very challenge. No longer can you expect to stay in the same role for 10 or 20 years, doing mostly the same things. The rapid pace of change today means you have to be prepared to reinvent yourself continually —as an employee, as a company, and as an industry. IoT is requiring companies to rethink their approach to workforce roles and hiring. That means cultivating a culture of constant learning and role evolution. 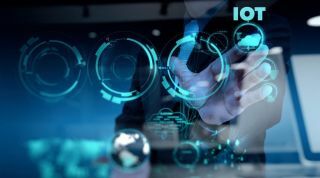 Will the chief information officer become the chief IoT officer instead? How will the plant control engineer’s role change in the face of IoT and automation? Will you need a chief supply chain management officer? What new skills will an assembly worker need in order to operate an automated line? As you embark on the IoT journey in your organization, changing culture may be your toughest challenge. So think of your task as not just implementing IoT solutions, but as a change management process that will likely transform your company. As change pushes people outside of their comfort zones, don’t wait for trouble to arise. Before you kick off your first small IoT project in one plant or store, meet with employees there, find out about their issues and concerns, and address them directly. Identify key influencers and people in key roles and include them as part of your virtual team. Naysayers can become your allies if you take the time to hear what they have to say and actually leverage their expertise. Don’t think your job is done after one meeting or training session on the new tools and technology. Uncertainty fuels negativity, so be clear about the impact of IoT on current roles and the new opportunities it can open. Work closely with employees on adopting the new technology, and continue to expand a coalition of the willing as you build on each success. In short, listen, include, and communicate! IoT will also affect organizational structures and decision-making—both of which will become more collaborative and less hierarchical. Partnering across organizational lines and with external partner ecosystems will become more important. IoT is complex and interdependent, and no one can do it alone. That means breaking down silos, bringing together IT with lines of business and operational technology functions. This level of cooperation will require changes in internal processes and partner relationships—all empowered by IoT. As an IoT champion, you are very much an agent of change. And yes, change can be painful. But with effective change management, you can create a culture that is agile, flexible, and collaborative. Combined with the other seven ingredients of my IoT recipe, this will help you lead your company toward IoT success—and far-reaching digital transformation. Join lively discussions in the new Building the Internet of Things community. For more IoT insights from industry thought and business leaders, sign up for my newsletter.